INTRODUCING - the ALQHA Affiliate Membership: A new, exciting & innovative program for AQHA Members & American Quarter Horse Owners in Alabama. ALQHA membership just got better! We invite you to join us in our new program of engagement and interaction for all AQHA Members & AQH owners, breeders, competitors & lovers in the state. The ALQHA Affiliate Membership is a FREE non-voting membership available to any person interested in activities with Quarter Horses. Affiliate members have access to all e-publications from ALQHA, more opportunities for participation, education and communication, liaison with AQHA National Directors, and are listed on the membership roster. More benefits to come as we grow!! YOUR SIMPLE 1-click membership will help us grow and add more benefits!! We are bringing ALL things about the American Quarter Horse under one all-encompassing umbrella. Other membership types are also available!! Not sure which membership option is for you? Let us highlight the features of each and visit www.alqha.com for more info!! · ALQHA Affiliate Membership is a non-voting membership that is free to any person interested in promoting the American Quarter Horse. Affiliate members have access to all e-publications from ALQHA, liaison with AQHA National Directors, may participate as a committee member, and are listed on the membership roster. Affiliate members do not earn state points at ALQHA sponsored shows or competitions and therefore are unable to qualify through the State Affiliate for AQHA World Championship shows. 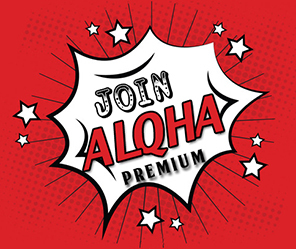 · ALQHA Premium Membership costs $25/person/year. Add $15 if also joining as an amateur. Premium membership entitles a member to all the benefits of the affiliate membership, plus one vote at meetings, and allows the member to accrue points at ALQHA shows. Amateur members MUST also be members of ALQHA for year-end eligibility (additional $15 for Amateur association dues). Both the horse owner and the exhibitor MUST be premium members for points to count. Points begin counting upon reception of membership application by ALQHA Secretary. Premium membership dues can also be paid to the AQHA show secretary prior to the close of show. Premium memberships are valid from date of payment of the membership fee to December 31st of the current year. · ALQHA Lifetime Membership costs $200/person. The ultimate option gives the member a lifetime of premium membership level advantages and opportunities. Promoting the American Quarter Horse and its industry.